Drawing inspiration from the Air Force 180 that Charles Barkley wore during the historic ‘92 Olympic Games, the Air Jordan Legacy 312 is now available in a red, white, blue and gold colorway. It features a predominately white base with red and blue accents throughout, as well as a touch of Olympic gold at the heel Air pocket, just as the AF180 did. 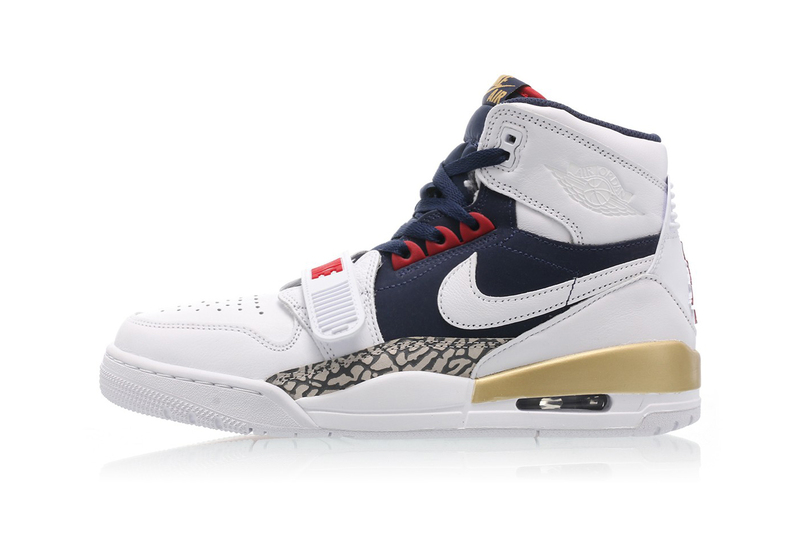 Although Don C‘s Air Jordan Legacy 312 ”White/White-Midnight Navy-Varsity Red” is not available through Nike just yet, you can purchase the colorway now through Titolo.